NEW YORK -- Just Mayo says it will get to keep its name, a decision that caps a rollercoaster year for the vegan spread that has rattled the egg industry. Just Mayo's maker Hampton Creek says it has worked out an agreement with the Food and Drug Administration that lets the eggless spread keep its name with a few changes are made to its label. The FDA sent a warning letter to Hampton Creek in August, saying Just Mayo was misbranded because mayonnaise is defined as having eggs. A representative for the FDA was not able to immediately available to confirm. 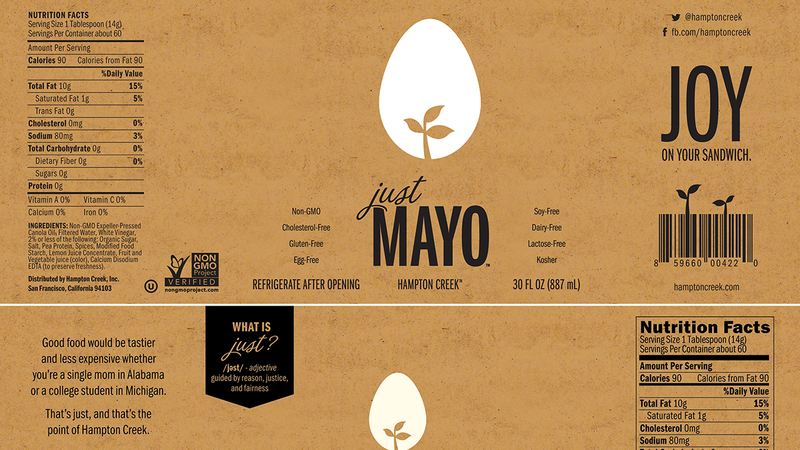 As part of the deal, Hampton Creek says Just Mayo's label will make it clear that the product does not contain eggs.